Last month, my son came home with his work clothes heavily stained with engine grease, dirt, and mud from supervising repair work at a quarry site. Without my knowledge, he threw the soiled clothes into a laundry bucket and soaked them in water for several days. I believe he meant to wash them himself instead of troubling me. Somehow, he never got on to it. When I began to notice a bad smell coming from the bucket, I almost fainted at what I saw. I knew I needed help from some kind of powerful detergent. Meanwhile, my son washed them with another brand of detergent but was not satisfied with the odor and the stubborn stains remaining. 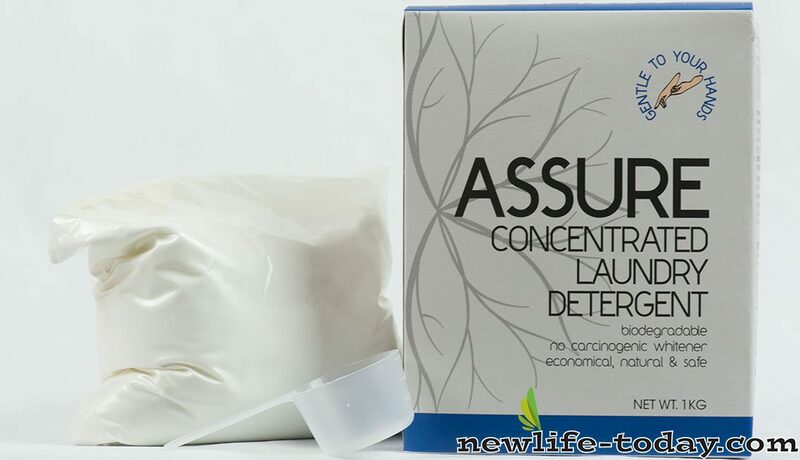 I decided to use Assure because I started using it on my ordinary clothes since NewLife™ International introduced it three months ago. Although I was pleased with its pleasant, clean, fresh smell, even after soaking for days; the way colored clothes retained their hues; plus other rewards like finding it safe for my hands, and the use of the wash water for my plants which gives me beautiful blooms, I was doubtful whether it would be good enough for such badly soiled clothes as what my son ended up with. While I was contemplating using it, Swaran called me, followed by Allyson, to place their orders for Assure. Allyson told me how fantastic her experience with Assure was. That did it! Without further ado, I followed the directions for removing heavy grease and soiled clothes and gave my son’s clothes another soak and wash. This time with Assure. I was pleasantly surprised. The clothes were completely clean, bright, and fresh smelling when I pulled them from the dryer. Thanks to Assure laundry detergent, my laundry days are now worry-free!